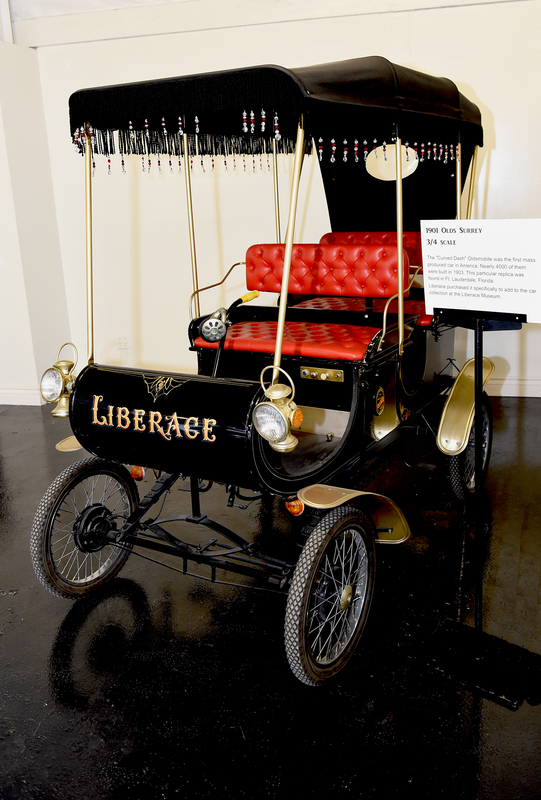 Among many other innovations, Liberace was first to use automobiles in his stage show. Like the costumes he wore, the cars were adorned like no others in history. Their style and use was at the forefront of celebrity conspicuous consumption by Liberace, 60 years ago. which were used in the HBO movie “Behind the Candelabra”; his famous London Taxi, with which he was known to pick up friends arriving at the Palm Springs airport; and his convertible bicentennial Rolls Royce out of which he flew upon entering the stage. 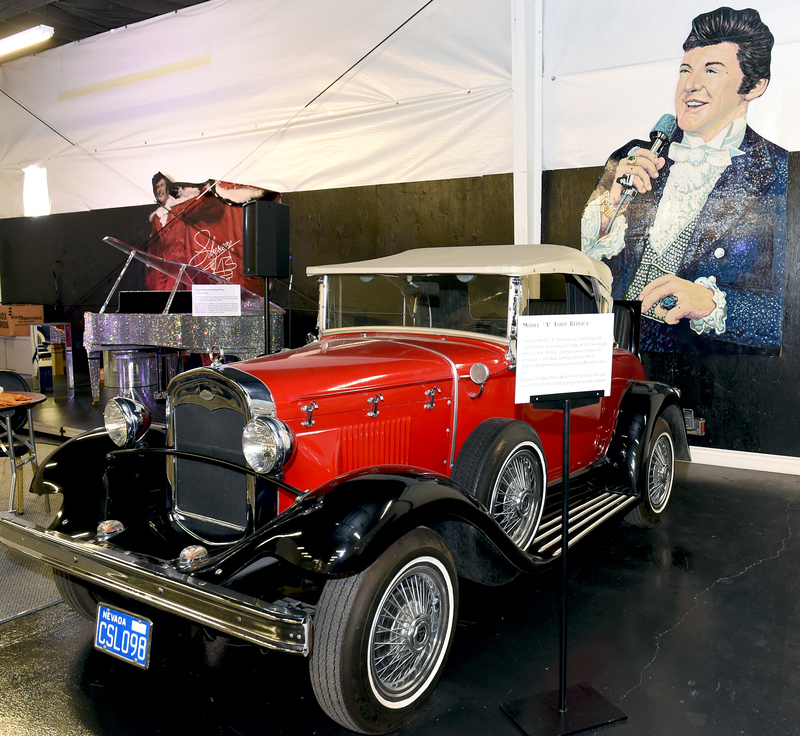 More of Liberace’s automobiles and related artifacts from the Liberace Museum Collection are also on display, all of which were donated to the Foundation by Liberace himself. 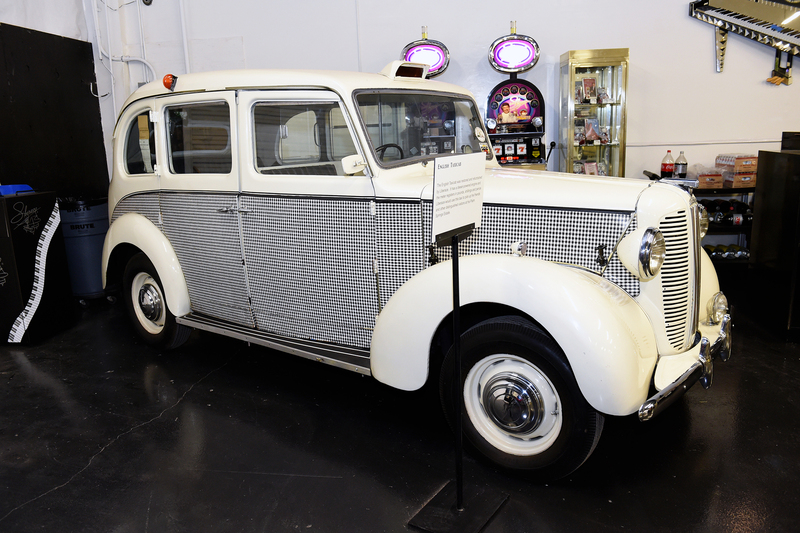 Ticket holders to the Liberace Garage will for a limited time have free access to the adjacent Michael Dezer’s Hollywood Cars Museum, featuring dozens of cars used in Hollywood film. We are very thankful to have Mr. Dezer as the premier sponsor of Liberace Garage. All Liberace Museum Collection Backstage Pass holders are also granted one free admission to Liberace Garage and the Hollywood Cars Museum. 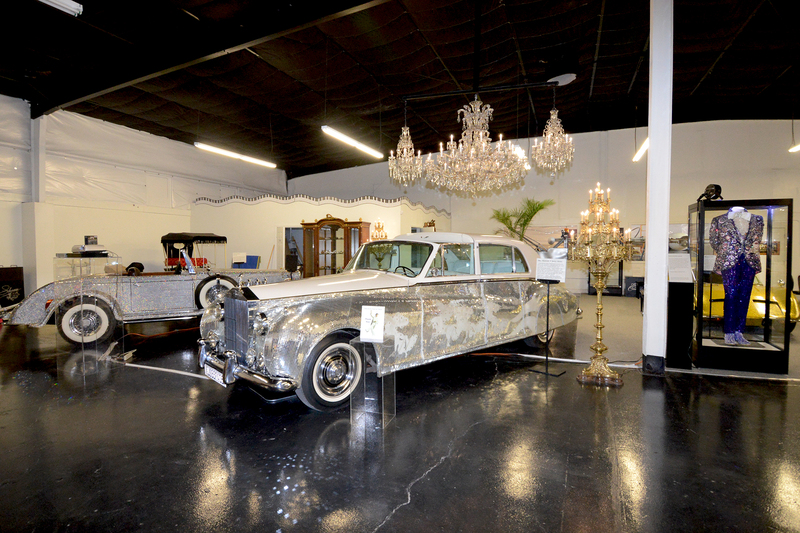 The Liberace Garage hosts events and performances as well as being a museum and gift shop. 4800 square feet with room for 200 guests, an 8×16′ stage, B52 Amplifier sound system, mixer board, chords, 50 chairs, 5 x 4 top tables. 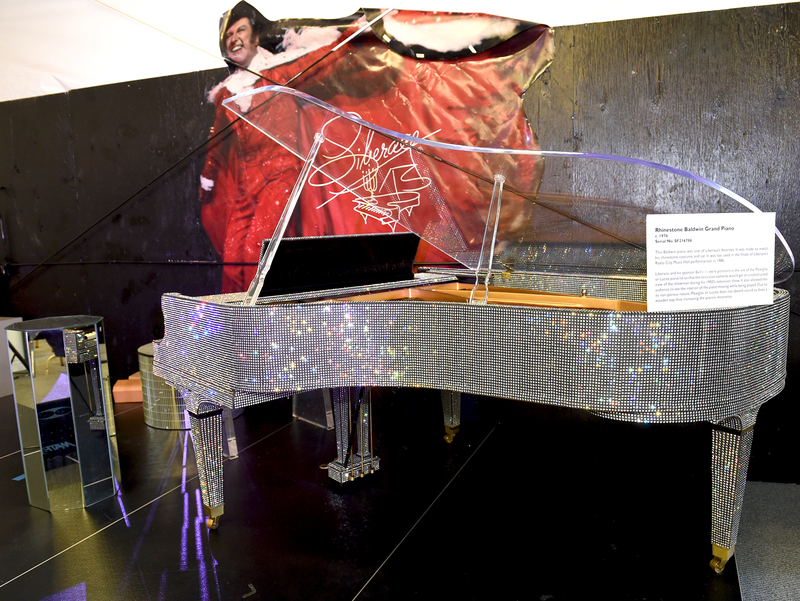 A famous Liberace Piano which can be played by qualified musicians is on stage, all surrounded by the stunning vehicles and other artifacts of Liberace, topped with the incredible Ice Storm Chandelier. 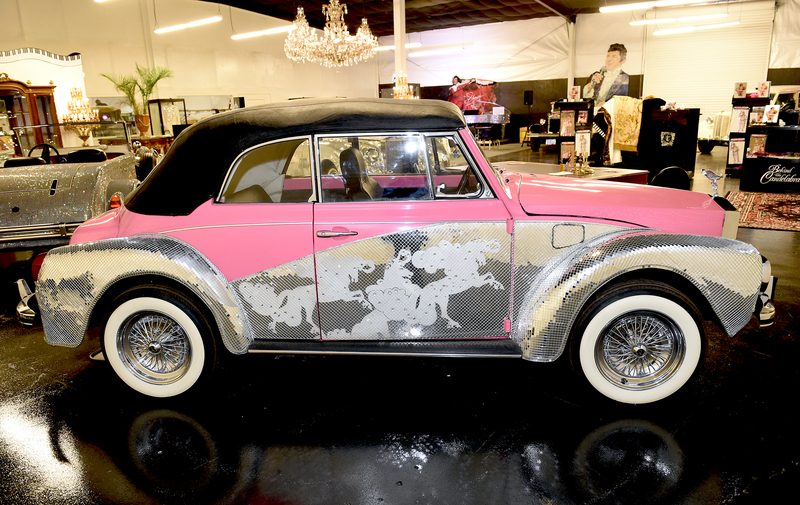 See what Vegas Seven Magazine says about Liberace Garage. Please contact us to inquire about an event at Liberace Garage! I remember my parents taking me to see Liberace’s house in Las Vegas, when we arrived, there was a dark metallic green Lincoln Continental limousine in the driveway that had a candelabra over each head-lamp. What ever happened to that car? There was also a white station wagon parked on the street. What happened to that car?